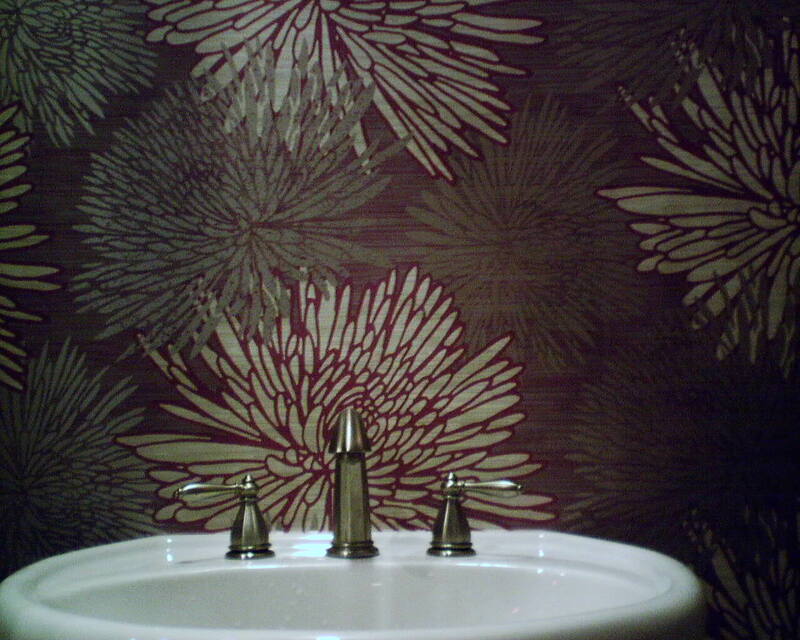 The painted walls in this powder room were dull and uninspiring. This homeowner is an artist, and loves drama and color. Well, you can’t beat huge purple flowers to meet the cravings! Regarding pattern placement, this room defied the rules of chance. 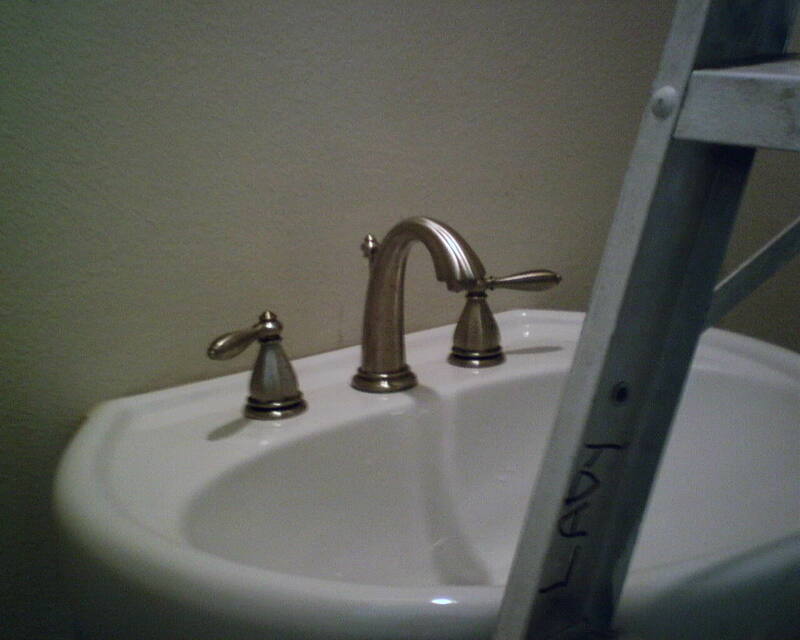 I spent quite a bit of time plotting and measuring and calculating, to get the flower to land intact (not get any important elements chopped off) at the top of the wall, and still have the weighty part of it land at the top of the sink, and also fall dead-center behind the faucet. But after that first strip is hung, every subsequent strip falls as it will, and you cannot control pattern placement for the rest of the room. 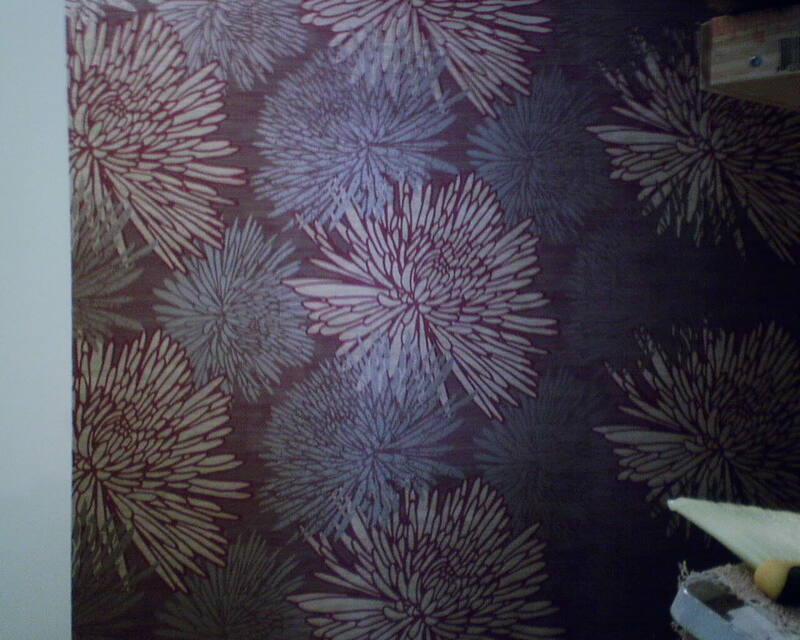 However, on the wall to the right of the sink, the wallpaper pattern balanced itself out perfectly, with the dominant flower lining up smack down the center of the wall, and perfectly halved-flowers falling down the right and left corners of the wall (no photo). 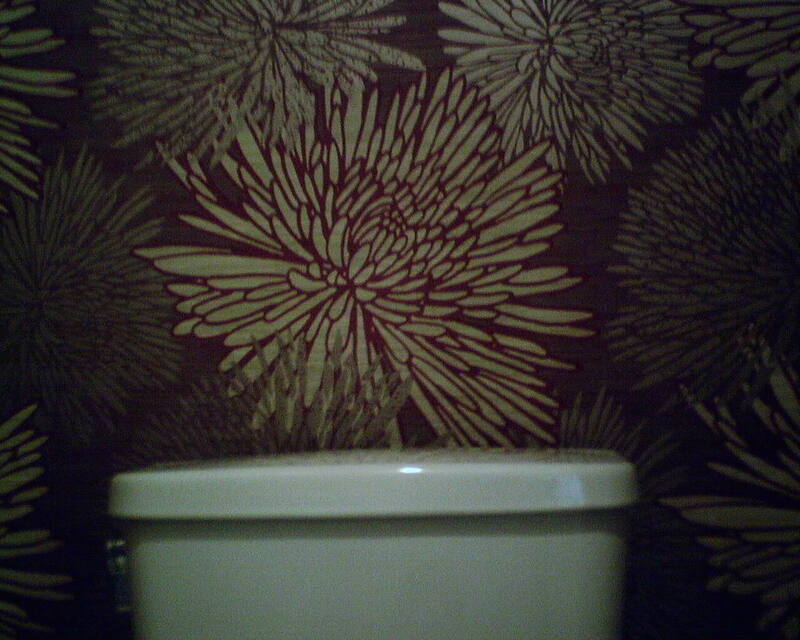 Then, to heighten the improbable, the dominant flower centered itself again on the rear wall, behind the toilet, with the two corners ending up with perfect halves of peonies on either side (not shown). Finally, the last join ended with less than a 2″ gap, which I was able to disguise very nicely with virtually no disruption of the pattern (no photo 😦 ). This wallpaper pattern is by Sanitas, and was bought at a discounted price from Dorota Hartwig at Southwestern Paint on Bissonnet near Kirby. 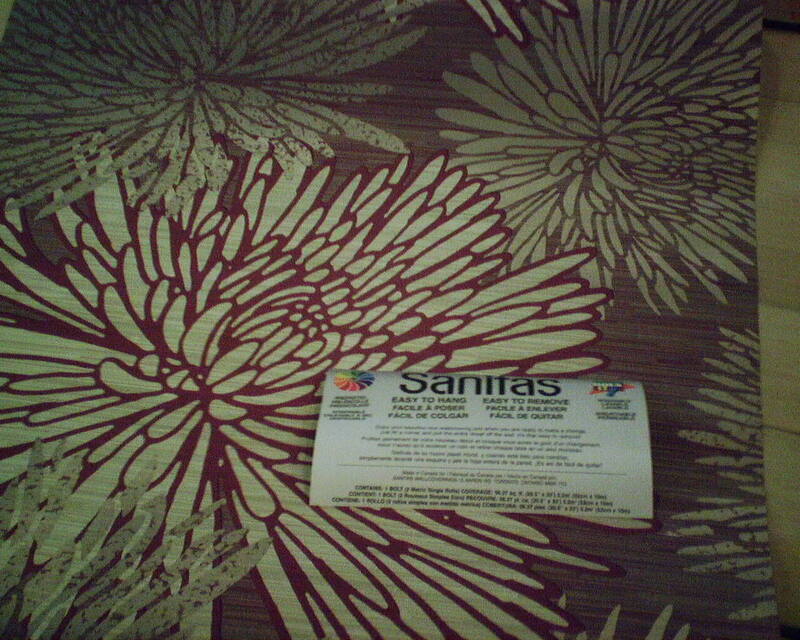 (713) 520-6262 or dorotasouthwestern@hotmail.com. Discuss your project and make an appointment before heading over to see her. This entry was posted on November 5, 2015 at 7:21 am and is filed under Uncategorized. You can follow any responses to this entry through the RSS 2.0 feed. You can leave a response, or trackback from your own site.